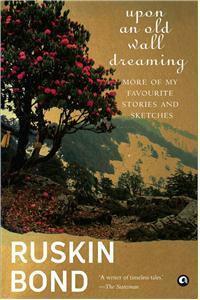 Ruskin Bond is the author of several bestselling novels and collections of short stories, essays and poems. These include The Room on the Roof (winner of the John Llewellyn Rhys Prize), A Flight of Pigeons, The Night Train at Deoli, Time Stops at Shamli, Our Trees Still Grow in Dehra (winner of the Sahitya Akademi Award), Angry River, The Blue Umbrella, Rain in the Mountains, Roads to Mussoorie, A Little Night Music, Tigers for Dinner, Tales of Fosterganj, and A Gathering of Friends. Ruskin Bond was awarded the Padma Shri by the Government of India in 1999, a Lifetime Achievement Award by the Delhi government in 2012 and the Padma Bhushan in 2014.